Benefiting from a Lifetime guarantee, the quality engineering of all Kudos enclosures and screens will provide solutions for all aspects of the bathroom environment. The Ultimate range of walk-in panels is their most popular allowing you to experience the exacting standards of Kudos. Specialising in all things shower related, Kudos deliver an unrivalled collection of shower enclosures and wetroom panels, beautifully made and ever versatile with their broad range of sizes and shapes. 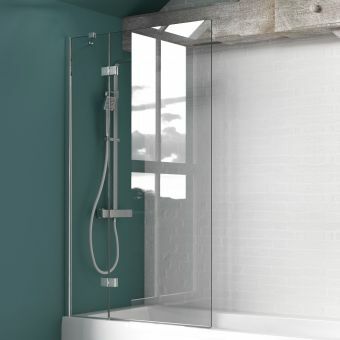 The shower bath is a hugely popular space saving design that makes the most of Keuco's perfectly proportioned shower screens in 6 or 8mm glass. A wide array of styles to save space and provide east cleaning opportunities. 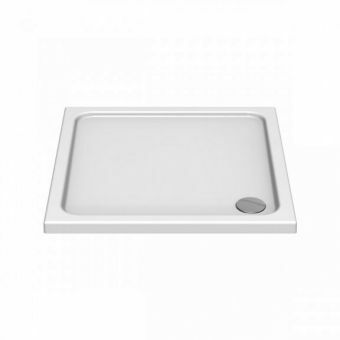 Choosing the right tray is made easy with Kudos especially the Kstone stone resin trays which give such good value and over 40 sizes to choose from. Success is guaranteed by this UK based company. Many people still like to buy products made in Great Britain and Kudos are almost unique in hand building all their products from within our own shores. This keeps down transport costs as well as keeping quality control in-house. Cleaning your new enclosure can be a real chore but the bespoke application of Lifeshield to their glass will make life much easier. Water droplets containing dirt simply slip down the glass and into the tray meaning you can spend more time enjoying your new bathroom instead of cleaning. The Ultimate ranges provide an instant wet room solution and are supplied complete with all necessary components including bracing bars and adjustable profiles for a perfect fit. Recess and corner installations can be specified using either 8mm or the latest 10mm crystal clear glass. The framework is kept to a minimum to help create a transparent feel to your enclosure. Many unique features are incorporated into building Kudos enclosures and screens giving any customer confidence that it will last a lifetime. From a smooth swinging door to the use of stainless steel, all components are of the highest quality and exceed stringent standards. Kudos have created an investment that will last but with an affordable price tag. Infinite is a range of semi-frameless enclosures that will integrate perfectly into your bathroom creating a spa-like atmosphere. Their simple elegance features crystal clear seals with glass to glass fittings capable of elevating your shower area into a sumptuous and restful space for quiet contemplation. 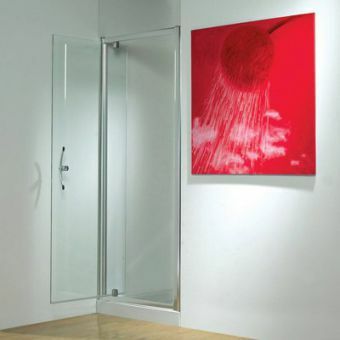 Described as the 'Art of Showering' Kudos produces a range of stylish shower enclosures, doors and trays that offer excellent value to enhance the modern bathroom, shower area or wet room. Kudos are based in the Lake District. Where the manufacturer and supply from the UK. They have been operating since 1999 and they have developed a strong reputation in the industry for quality, design and engineering brilliance. Being based in the Lake District means they are set in some stunning environments. This natural beauty is a great influence on the designs they produce. Are Kudos Showers any good? Kudos are so confident in them that they have a lifetime guarantee on them. Their enclosures also include Lifeshield which is an easy clean coating which unlike other manufacturers has a lifetime guarantee! 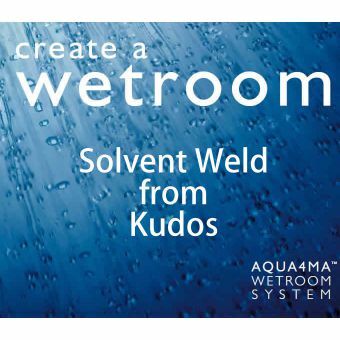 By using the latest design technology, material and production techniques, Kudos has developed a range of reliable, high-quality shower products which are superbly engineered from the highest quality materials, elegant, practical and easy to maintain, Kudos products not only look great but operate efficiently and will continue to keep their attractive appearance. 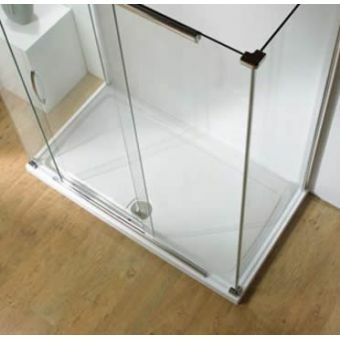 The Kudos Original range of doors and enclosures have set the standard in showering excellence, superb engineering, design and value using up to 6mm toughened safety glass on all products which are, naturally, covered by the Kudos lifetime guarantee. 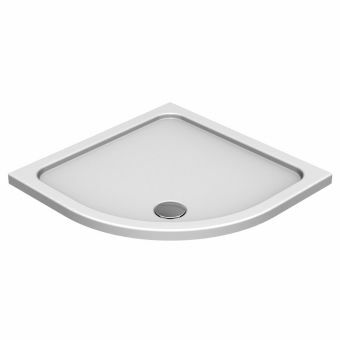 The range features concealed fixings throughout with a unique height adjustment to ensure perfect performance. 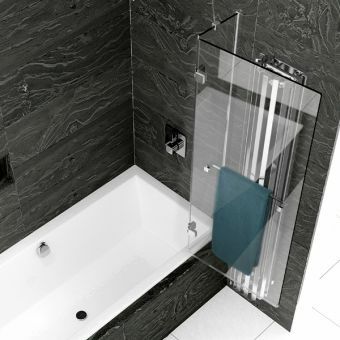 The Kudos original range comprises a full range of options that will cover any installation, including sliding, pivoted, bi-folded and bath screen options in straight, bowed and curved glass. 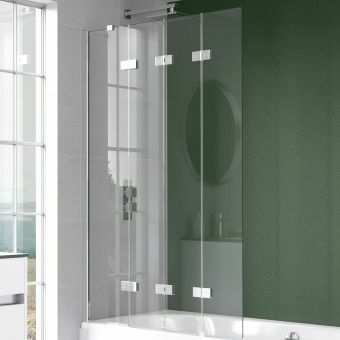 The Kudos Infinite range is a semi-frameless collection combing elegance and style with practical performance. The range features glass to glass panels up to 8mm thickness and crystal clear seals offering a clear jewel-like appearance. 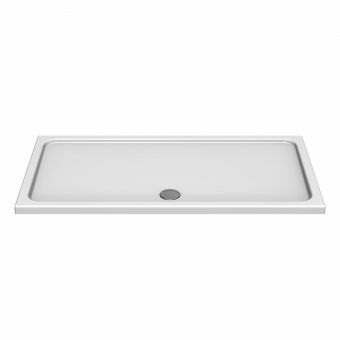 The product features chrome effect wall sections, plated brass corner joints, with a three-dimensional adjustment. As with the Kudos Original range, the Infinite enclosures come with the same profiles. Should space permit, the Kudos Ultimate wet room enclosures provide “the ultimate" in showering experience. Coming in a full range of profiles and made from the same high-quality 8mm glass panels these walk-in showers offer luxurious showering. 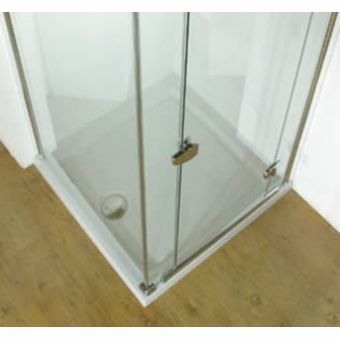 Some Ultimate products include the integrated Kudos shower tower that not only directs water away from the door-less opening but ensures that the user is positioned within the enclosure in a draft-free shower. 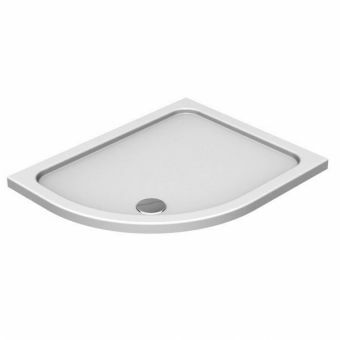 A range of shower trays is in the range of products that are produced by Kudos and are manufactured to the same high standard as all their other products. 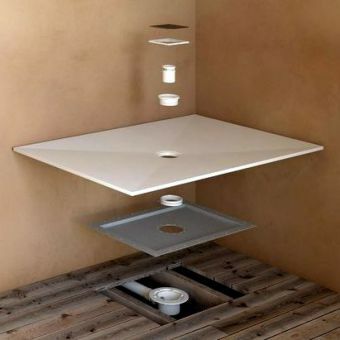 Made from resin bonded stone filler, the Concept shower tray gives strength and stability with a fine decorative appearance from the acrylic skin. The range consists of curved, bowed square, rectangular, in a range of sizes to suit the area to which this is to be fitted. Kudos is a British company providing fine products supported by world-class service. 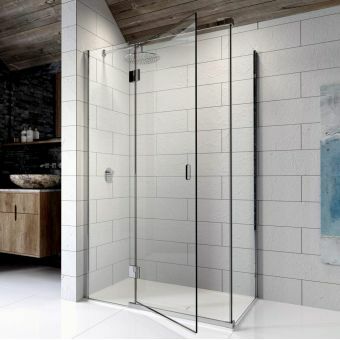 One of the flagship ranges from British designers, Kudos, the Original line of doors and enclosures give the shower area a sense of strength and tranquillity. 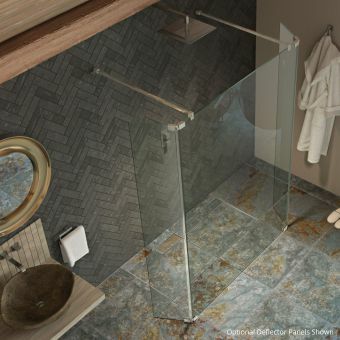 Created to cater specifically for shower spaces installed into a recess or corner spaces, Original offers a variety of styles and solutions for a flexible design approach. Curved, bowed and straight panels are supplied with a range of opening mechanisms such as pivoted, folding and sliding doors. With such an array of options on offer, the user has plenty of scope to choose from. 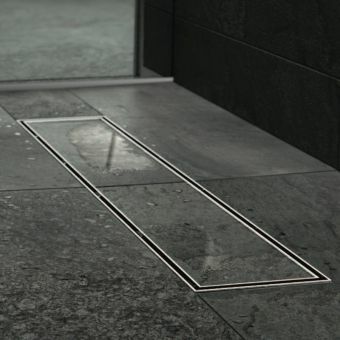 Stainless steel and toughened safety glass are the materials used in the Original line, giving a fresh and contemporary appearance while retaining an innate resilience. Each enclosure is backed up with a lifetime guarantee from Kudos as a testament to its highest build quality. We have put together some pre-made pack from the most common models. If you need a hand creating the right pack, just give us a call and we can guide you through. 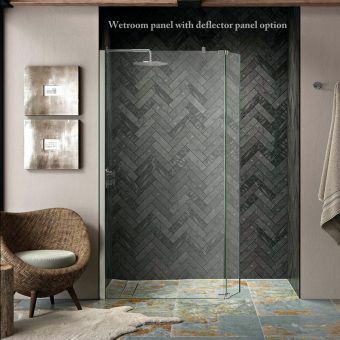 All Ultimate 2 wetrooms are available in special order finishes: Brushed Nickel Bright Nickel Brushed Gold Polished Gold Matt Black Please call us to discuss prices and availability. A fresh, open persona can be found in Ultimate 2. 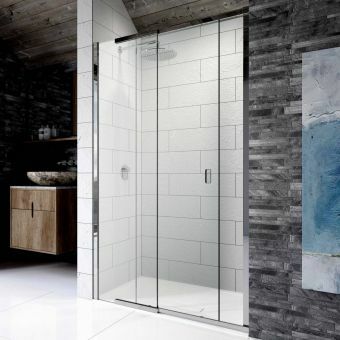 These doorless shower enclosures breathe life and light into the bathroom space, creating an inviting and relaxing environment in which to shower and rejuvenate. 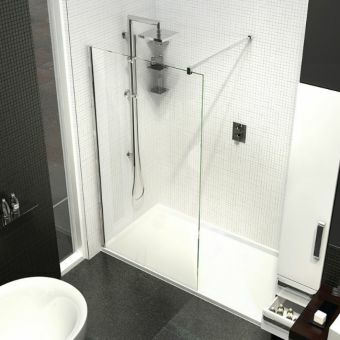 Coming with a line of unique, dedicated shower trays, Ultimate 2 provides a complete range of products with options for curved or flat panels, in left or right-hand openings to create a shower space to your specification. For further customisation and a truly novel aspect of the space, the optional Kudos Shower Tower is fully compatible with this range. 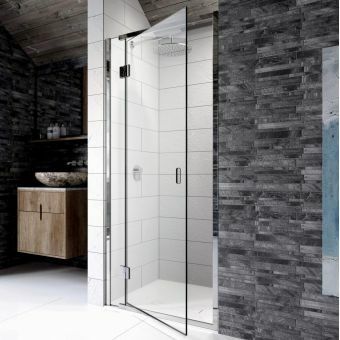 Connected to the shower outlet, it allows the head to be fully angled away from the opening for a totally splash free environment and a warmer, more intense shower experience. 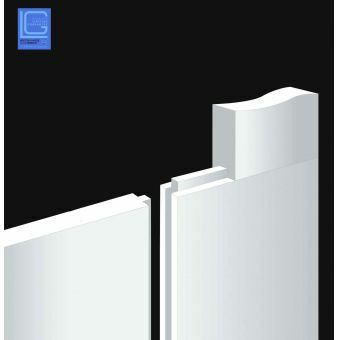 Engineered for an easy an installation as possible, Ultimate 2 includes a silicone free installation and fully adjustable profile for fitting to out of true walls. Aqua4MA is a great innovation for the discerning customer who wants the best from his new bathroom. Carefully designed to allow the user to piece together a stylish wetroom with a minimum of hassle, Kudos have opened up the range of possibilities open to the designer. Guaranteed to create a watertight seal, even before any tiles have been applied, Aqua4MA is a comprehensive wetroom installation system. 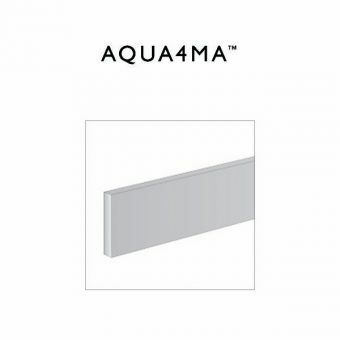 Each component is easily integrated with the next, allowing for easy removal or replacement of tiles, while accessories can be screwed directly into the Aqua4MA wall boards and floors without compromising the watertight seal. This approach also means a quicker installation, with no need to adjust floor heights or cut floorboards to size. Compatible with underfloor heating and any type of tiling, Aqua4MA is a truly versatile and adaptable wetroom solution for the modern living space. The kudos Pinnacle 8 Shower Doors are the latest addition to the already popular Kudos Showers arsenal. 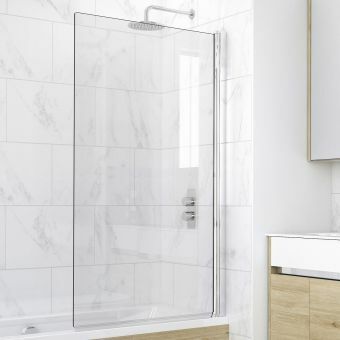 The Pinnacle8 provides its users with the most up to date design within the bathroom industry, boasting such features as discreet handles cut into the glass as well as Lifeshield glass coating being included as standard. 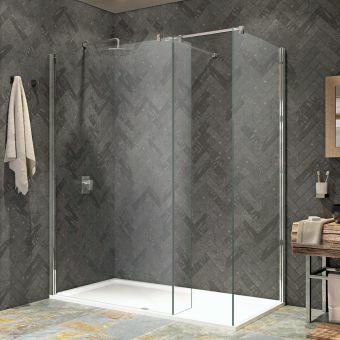 All the Pinnacle 8 Showers us 8mm safety glass, which is strong and tough; providing you with a firm and “VW-like” door close to reassure you of the quality and the engineering brilliance that comes with al Kudos Showers products. Each Kudos shower enclosure is manufacturers in the UK, and like all other Kudos doors, the Pinnacle 8 comes with a Lifetime Guarantee. You fitter will thank you for getting Pinnacle8 doors as they have been engineered to be quick and easy to install. When paired with a suitable Kudos tray you will be able to appreciate the superb build quality of Pinncale8 and installers will be delighted with the 20mm adjustment range to get a perfect fit. Each of the doors had been designed to be universal in terms of handing, so you needn’t worry if you have ordered the right door. Kudos Infinite is a breathtaking range. 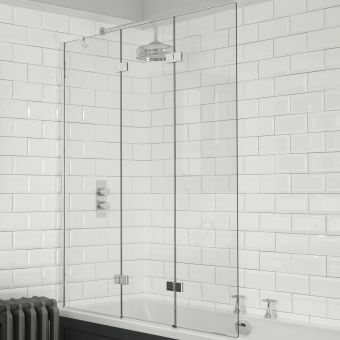 A fine balance of glass and metal, these shower enclosures represent the leading edge in technological design from one the leading British manufacturers of bathroom ware. 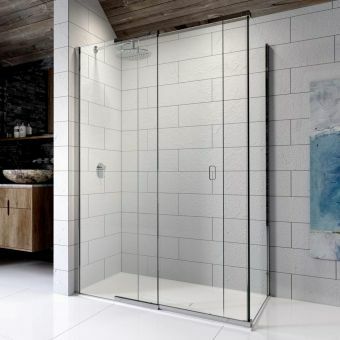 Capable of fitting the small or wide enclosure, the Infinite Shower Panels fit enclosure spaces ranging from 760mm to 1700mm in width. 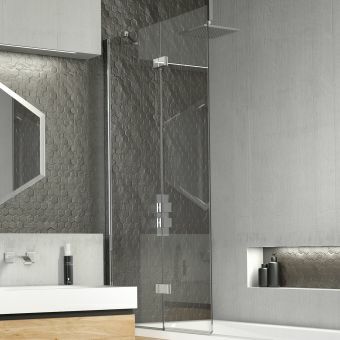 Supplied alone, the Infinite Shower Panel can be quickly fitted to the recessed shower space, though with the addition of one or two side panels a corner or three-sided enclosure can be easily created, with stylish glass to glass seals for a minimalist effect. Such versatility of approach is integral to the appeal of Infinite. Each panel is treated with Lifeshield, giving a gleaming, stain resistant coating that is easy to clean, making this a firm favourite within the hospitality sector. Backed by a lifetime guarantee, Infinite is a line from Kudos upon which you can rely.